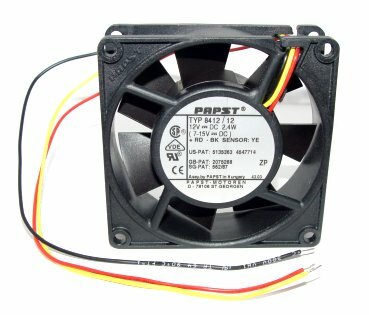 12v DC Fan, 80mm x 25mm, high quality ball bearing, w/tach output, EBM/PAPST model # 8412/12. 12" tinned leads. 33CFM. 2.4 watts. 35dBA.